A technical glitch kept me from posting yesterday's session at the museum - boo. Rest assured, I was there for a spell, spread out on the floor in front of the African mammals. A friend asked me how I was selecting my daily MCZ-love themes, and the truth is, I let the particulars of each visit choose my focus for me. On this day, the big cats had particular draw... especially when I took some time to investigate the toes on the lion skeleton below - check out the incredible structure of those retractable claws! The sheath of keratin that covers feline claws (not included in this display) is the same material that makes up ungulate hooves - both structures being modified mammal nails. Claws are attached to the terminal bone of each toe and all cats have the ability to retract them, making them essentially disappear into the paw. Thechnically speaking, the resting position of the claws is in retraction, and by constricting muscles in the toe, a cat is able to straighten them outward when needed. Cheetahs, who rely so heavily on traction during high-speed land pursuits, are one of only 4 felid species in which the claws do not fully retract and are always visible (a nugget of information I learned when I was researching cheetahs for a National Geographic assignment years ago). In addition to the reliably amazing permanent exhibits at the MCZ, there is a hallway gallery space for special exhibits that rotates a handful of times each year. I was saddened to see the last exhibit, titled Head Gear, taken down - it was a phenomenal exploration of horns, antlers, and other bony noggin growths across the animal kingdom (including insects, birds, and fish)... heaps of stunning taxidermy and the most beautiful skulls... BUT, the new exhibit that has been quietly coming together all week - unveiled last night - does not dissapoint in the slightest. Mollusks: Shelled Masters of the Marine Realm takes visitors through a tour of the evolution, ecology, and diversity of this phylum of invertebrates that make up nearly a quarter of all known marine species. A sampler of snails, clams, oysters, octopus, and squid, it's a small but densely packed exhibit - and rounding out all the wild specimens collected in the field is a gorgeous case of glass mollusks, masterfully created by the renowned Rudolf and Leopold (father/son) Blaschka - the magicians behind Harvard's world-famous glass flowers. I've written about days when impromptu sketching feels like second nature - smooth as sailing through a conversation with an old friend, where every word is perfectly timed, and even more perfectly chosen... today was decidedly not one of those days. So be it. But it does make working on a personally imposed deadline a bit of a challenge. After struggling with colored pencils and water color in front of a display of handsome pigeons for a good hour, I abandoned ship and decided to relocate. As I passed through the invertebrates exhibit, I stalled in front of a case of coleoptera: beetles - jewel-toned, patterned, and pinned in an orderly arrangement worthy of a meticulous philatelist. Despite the rainbow before me, I took out a Micron and let gesture override adornment - thankfully, the result felt 100% better than my previous exercises that afternoon, and if I had had more time, I would have drawn every specimen on the wall. There's something so pleasingly mathmatic about drawing insects - like sketching architecture or bicycles - they are a perfectly orchestrated collaboration of geometic shapes - a spray of hinged line segments, anchored by some elaboration on the shape of a pill... and symetry - at least when viewed dorsally over the head of a pin - is king. *And if you're wondering - the middle right photo in the block of images above is of Right Whale baleen!! Craaaazy amazing stuff, the edges of which more closely resemble splinters than soft "hair". Also known as whalebone, this strong but flexible keratin-based material was used for centuries where we might use plastics today: hoop skirt supports, corset stays, bone folders, ladel handles, and the like. I personally think it looks much better inside the mouth of a whale, where a row of between 130 and 360 plates descends from the upper gumline on each side of the mouth, creating a sieve-like mat used to filter krill from ginormous mouthfulls of seawater... cetaceans are just cool like that. I've spent so many heaps of Valentine's Days expressing affinity, affection, and honest adoration for so many much-loved humans. 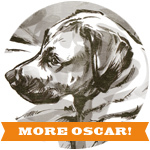 I've celebrated sweet Oscar-dog. I've baked and I've crafted, I've dined and I've gifted... But this year I'm going to do something different - this year I'm going to give good St. Valentine a whole week's worth of lovin, and rather than direct it all at one heart, I'm starting with my own extravagance and inviting anyone who cares to follow. The twist - my crush this year is actually a place, and in an effort to honor it (and indulge in it's most inspiring effect on me) I will devote a little time out of every day this week (through Sunday) to pop in... and love the stuffing out of it. I'll share a taste of each delicious visit right here. It's going to be great... you see - I heart Harvard's Museum of Comparative Zoology, and from what I can tell, it hearts me right back. Let the natural history love-fest begin!